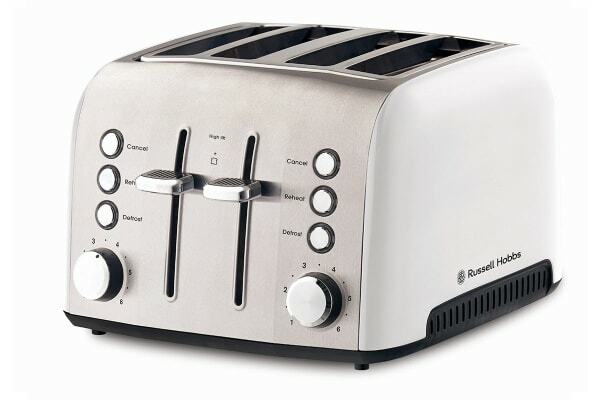 Created with sleek design, this Russell Hobbs toaster is the perfect addition to your morning routine. The Russell Hobbs Heritage Vogue 4 Slice Toaster is the epitome of timeless design. With new textured soft touch features and premium painted finishes, the Heritage Vogue Toaster is the perfect addition to a busy kitchen.